Toronto, Canada can make for a good weekend or holiday weekend destination, particularly if you’re based in the United States and where you’re coming from. For getting to Toronto, your two options involve driving (more so if you’re near New York State or overall the US/Canadian border) or flying (to/from two airports). As for what to do in Toronto, your options can be pretty spread out. From hockey to history, artsy to culinary, there’s a lot to do in this faceted city. 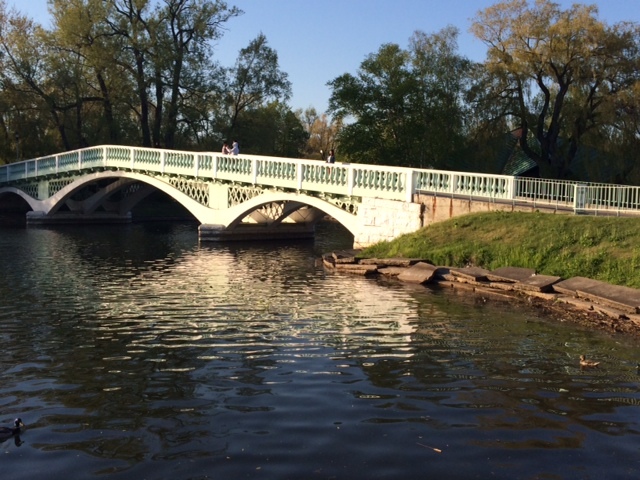 From taking a recent weekend trip, here are my suggestions on what to see in three days. Toronto has its professional sports teams — Blue Jays for baseball, FC for soccer, and Raptors for basketball — but hockey (Maple Leafs) makes the goal at this museum. 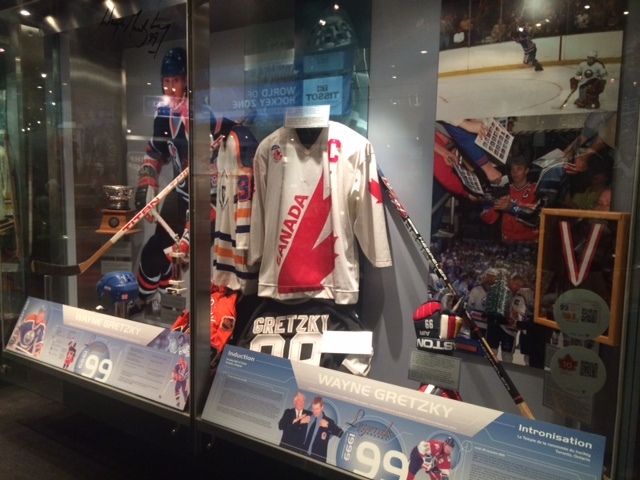 Non-hockey fans can learn a lot about its history of this rink sport, which displays jerseys and other gear by greats such as Canadian’s Wayne Gretzky. It’s also where the Stanley Cup is kept along with other trophies. And the museum’s location is different too — on the lower level of a shopping mall. When completed in the mid-seventies, the CN Tower was once both the world’s tallest tower and free standing structure. A general ticket takes you up the glass elevator straight up 1,136 feet – or 346 m – to its Lookout Level. My friend and I decided to shell out more cash for extra admission to the Skypod, which takes you up an additional 329 feet to another lookout spot. 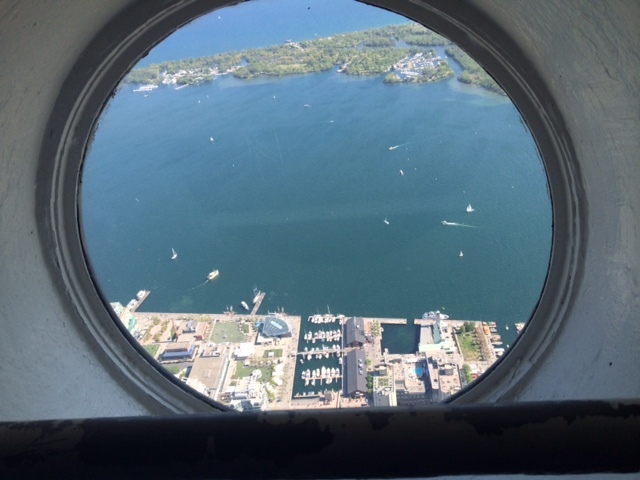 The tower’s 360 Restaurant can be a bit pricey but its all-around window views are pretty nice. The very brave can go on the EdgeWalk, which leads them on a harnessed walk around on the outside of the tower. 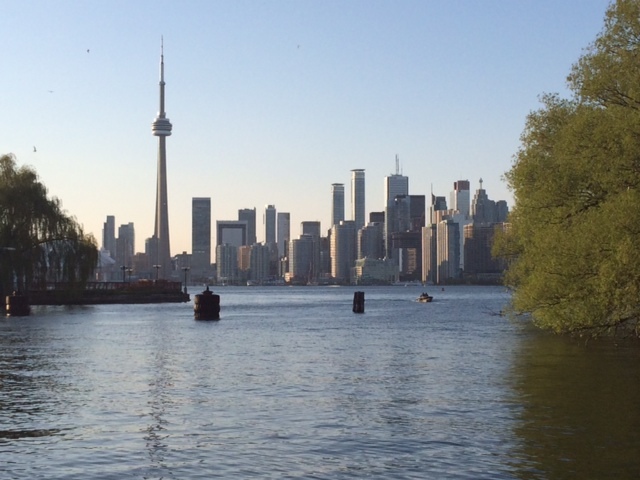 From the downtown area, catch the ferry or a water taxi to get to this collection of small islands neighboring Lake Ontario and get a glimpse of Toronto’s skyline. My friend and I explore on section of these islands with walkways to a pier and along various paths. From what I’ve read, among these islands you’ll also find an amusement park, a children’s garden, a petting farm and the Gibraltar Lighthouse. 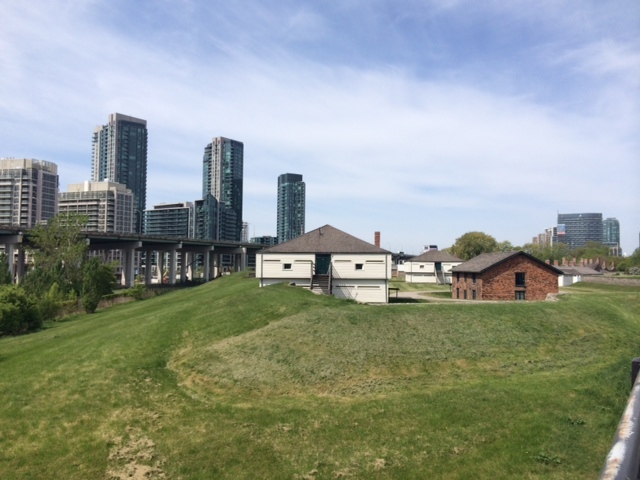 It might be odd for a military fort to co-exist among modern-day buildings and a highway, but this National Landmark stands on the place where today’s Toronto was founded. At the times of its construction, the set of fortifications was built to safeguard the area from a potential naval attack – from the United States. The fort also was battered by forces during the War of 1812 and 1813 but was rebuilt a year later to hold off American forces. Unfortunately for me, the Saturday of our Memorial Day Weekend I planned to visit this food market it was closed (check hours as it is open at times). I ended up eating at Paddington’s Pump, a restaurant next to the market, but I got to peek inside of it. With a history going back two centuries, the inside of this walk-through place has three different buildings that service specific things like merchants or offices. South Market is where specialty vendors sells fruit, vegetables, meat, fish, grains, baked goods and dairy products. 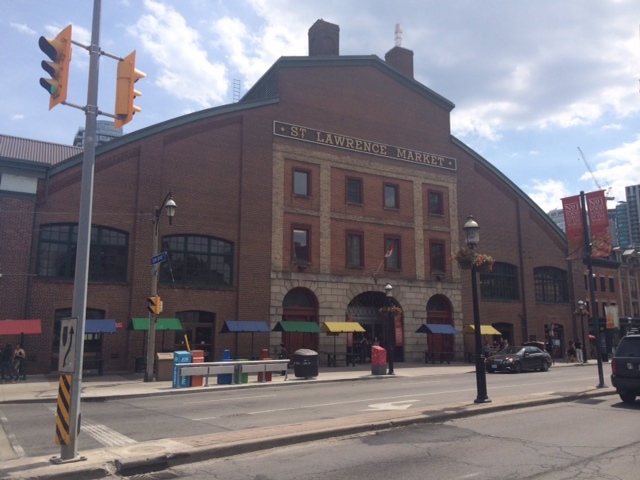 St. Lawrence Market may be about tradition, but Kensington Market is more trendy. The scene around this area is like hipster meeting hippie. 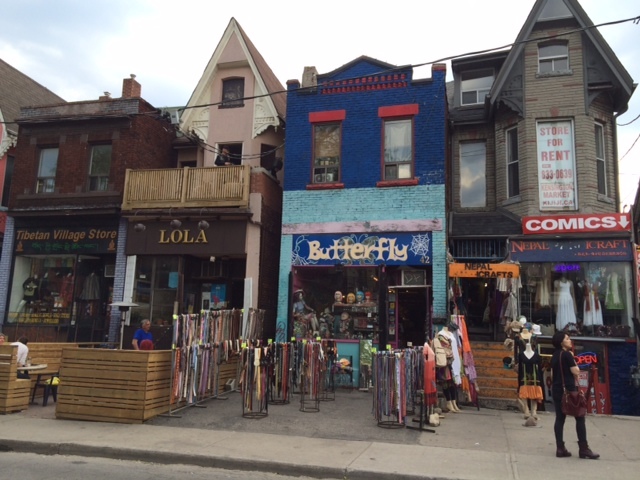 This Bohemian district has more of an urban feel with a collection of health food stores, tea/coffee shops and eateries ranging from perhaps a pizza joint and vegan bakery to a bagel shop and a store selling flavored popcorn. Mixed in between places to dine, find places to shop such as clothing boutiques or a used record store. 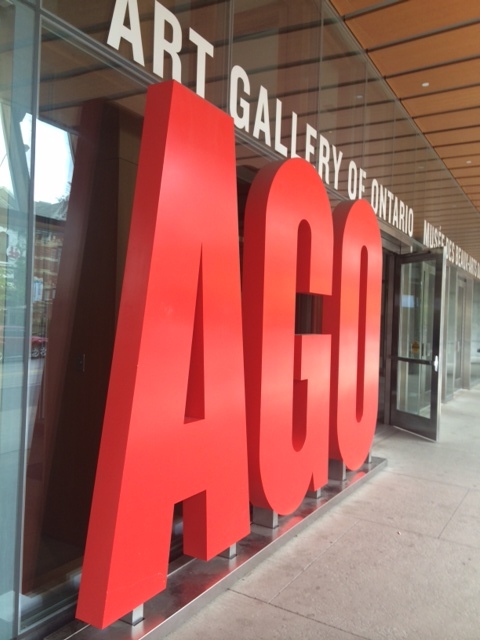 As every major city has its share of museums, Toronto has a number of check out. We ended up seeing the Art Gallery of Ontario, which along with a neat acronym contains quite a collection of Canadian art. More specifically, it holds the works of a specific set of Canadian artists called the Group of Seven who focused on capturing their country’s landscape on canvas. There is also a children’s wing, where young visitors can appreciate art. Aside from AGO, consider the Royal Ontario Museum, which has an assortment of cultural and nature history displays. And the Bata Shoe Museum is all about footwear through the ages. It’s a climb to get to Casa Loma, but this hilltop Gothic mansion is a fine example of a private home built to be a show place. Once owned by a financier named Henry Mill Pellatt and wife before the First World War, the costly project ended up being completed for then a whopping $3,500,000. But with hitting a financial slump, the Pellatts couldn’t afford to stay. They had to leave their home after not even living there for 10 years. 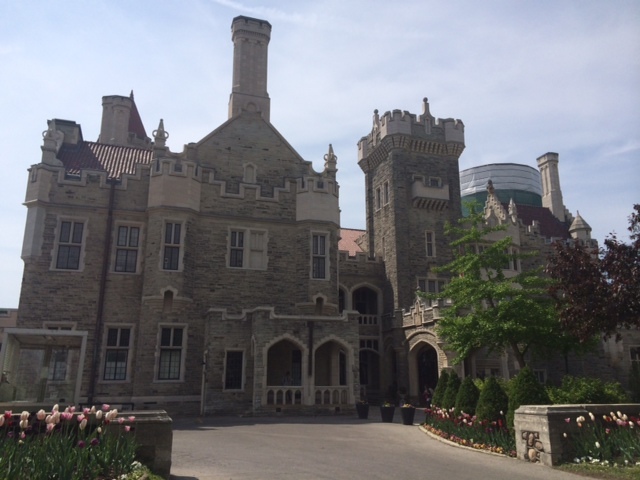 After they moved out, the castle has had other uses by the Canadian military and as a film set. Remnants of high-end living are still displayed. Definitely get down to the lower level and follow a tunnel area to get to stables where antique cars like a Ford Model T are stored. This entry was posted in Delta on June 11, 2015 by She Is Going Places.